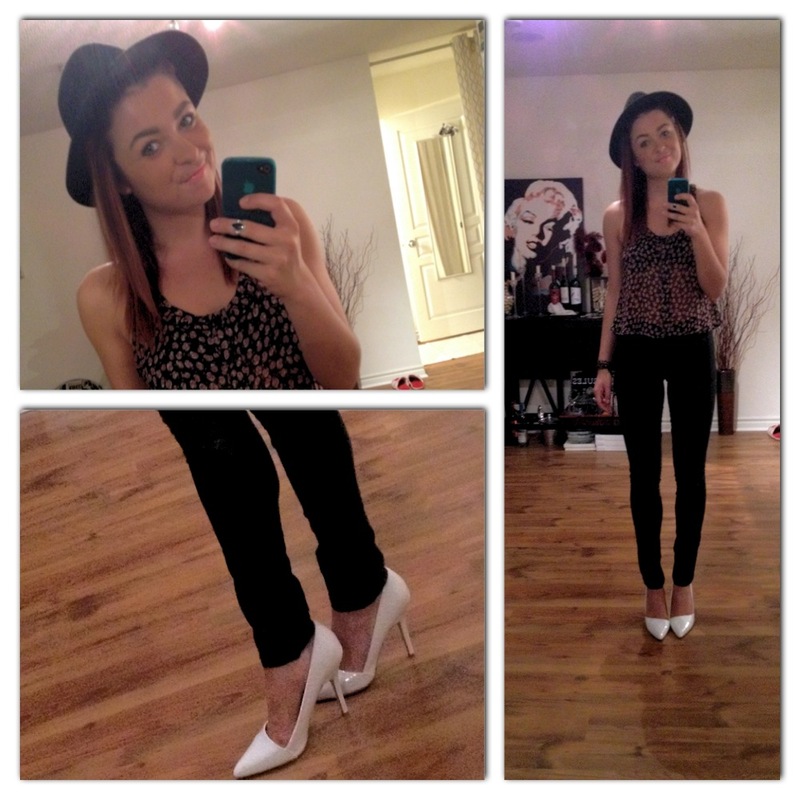 Kat’s Closet – Weekend Edition. How the heck is Monday here already? How the heck is September a couple of days away? How the heck was your weekend? A little work and a little play was the salad tossed. A lot of dancing and a lot of living was the meal of choice. After ‘that’s a wrap’ was yelled on set, Friday brought all of my favourite people into one place. My brother and his band The Lad Classic took the stage at Cherry Cola’s. My roomie and I woke up the next day with the words ‘well, that was an unexpected good, good night!’ Alot of black, skinny jeans, vintage band tees, cons, bangles, military boots and jackets, tattoos and hipster dudes. A whole lot of Queen West. Tank- Boutique on Melrose Ave. LA. Shoes- G.H Bass & Co. Beaten to the hat compliment. It looks great on you. Appreciate it, Caroline and Justin. I love hats. This makes me very excited. I like new friends. See you soon! !